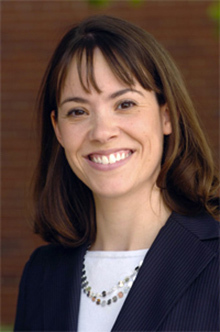 Megan Oakleaf, associate professor at the School of Information Studies, is hosting a featured session at the annual conference of EDUCAUSE this week. Her talk is titled “From Passive to Active: The Impact of Libraries and Librarians on Increasing Student Learning, Improving Faculty Productivity, and Achieving Institutional Mission.” The session will highlight new ways that librarians can align library services with institutional priorities and use rigorous outcomes assessment data to effect change. The goal of the session is to provide attendees with ways to identify linkages between library services and institutional missions, summarize research that demonstrates library value to and impact on the institutional mission, and translate patterns of institutional alignment and assessment. The EDUCAUSE conference features more than 300 sessions and more than 500 speakers, including 60 webcasts and 18 exclusive online sessions provided virtually. Oakleaf is well-known and highly regarded in the library field on the topics of her research, including outcomes assessment, evidence-based decision making, information literacy instruction, and academic library impact and value. She is a frequent presenter at library and educational conferences, having presented to the American Library Association, Association of College and Research Libraries, Association of American Colleges and Universities, Association for the Assessment of Learning in Higher Education, the Association of Research Libraries Library Assessment Conferences, the IUPUI Assessment Institute and the Texas A&M Assessment Conference.